Maurice Casey (Jesus: Evidence and Argument Or Mythicist Myths?) critiques Thomas L. Thompson’s The Messiah Myth without giving his readers any idea of its stated purpose or overall argument. I suspect Casey himself did not know what it was about and could not explain its argument if he tried since he had made up his mind before reading it that it was an attempt to prove there was no historical Jesus. Casey is already on record as being quite perplexed when he encounters new perspectives on old problems and he remains true to form when confronted with Thomas L. Thompson’s work. Casey cannot even bring himself to fully acknowledge Thompson’s credentials as an Old Testament scholar of high international standing. What Casey means by The Messiah Myth‘s “demonstration of lack of knowledge of first-century Judaism and NT scholarship” and its paucity of information about Jesus is that the book is not about Casey’s assumptions of what first-century Judaism looked like, nor is it about NT scholarship or Jesus as these are traditionally addressed in studies on the historical Jesus. Casey might as well have added that the work “demonstrates a lack of knowledge of” knitting and abseiling. 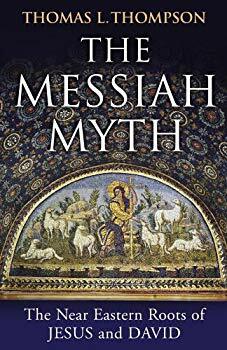 Thompson’s book is about the messiah myth as it is found throughout ancient Middle Eastern literature. It is an attempt to offer a new perspective for how scholars might approach the Bible as historians. Too rarely biblical scholars have stopped to ask if the authors of the historical books of the Bible had the same sense of past history as we do. The first task of historians should be to fully grasp the literary and theological nature of the works they are studying. Full justice to that enquiry can only be accomplished if the historian first and foremost has a thorough grasp of comparable literary and theological sources throughout that region’s cultural history. Before we assume that the narratives in the biblical works are windows to historical events it is better first to acquaint oneself with other literature of that cultural region and what it often meant to convey when speaking of the past. The assumption that the narratives of the Bible are accounts of the past asserts a function for our texts that needs to be demonstrated as it competes with other more apparent functions.